NACOGDOCHES – Have you registered for NAC 101, if not perhaps you need to! What started out as a small lecture series to allow citizens to get an up close look behind the workings of our city has become a very popular program offered by the City of Nacogdoches. NAC 101 is a free program and each session promises to offer a unique experience that helps bridge the gap between citizens and city employees. The NAC 101 classes will begin on July 26th and will run until November 8th. There will be 8 classes and each class is held from 6:00 pm – 8:15 pm in the City Council Chambers. The sessions will cover how to become more involved in the city government- whether through volunteerism or becoming a member of one of the City boards such as the Planning and Zoning Commission or the Historic Landmark Preservation Committee. Classes are open to all citizens over the age of 18. Each class will cater to different departments such as Inspections, Public Works or Historic Sites and will allow you to gain a more in depth understanding of how your city operates on a day-to-day basis. If you have not already taken advantage of this wonderful experience, we would like to encourage you to do so. Applications for the 2012 session of NAC 101 are due July 9th at 5:00 pm. NAC 101 graduate Councilman David Norton and wife Anne gave the program high praises. “We absolutely enjoyed it; it was great to meet the different people who run the various departments and see how dedicated they are to our city,” Norton said. For more information or an application visit the City website at www.nacogdoches.tx.us or contact the Director of Community Services Brian W. Bray at 936-560-4441 or by e-mail at brayb@ci.nacogdoches.tx.us. Longview- Long ago, during the 1800’s, Dr. Grigor Von Graystone, his wife, and three children fled into exile from their homeland and settled in Longview, Texas, where they lived quietly in their Manor on the hill. 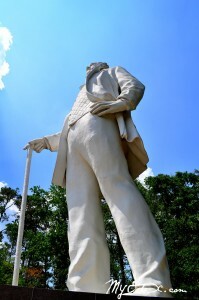 HUNTSVILLE, TX, – On Tuesday, May 6 the Texas Forest Trail Region (TFTR), in partnership with City of Huntsville Tourism and the Sam Houston Memorial Museum will offering a series of tourism presentations on customer service and Hotel Occupancy Taxes for local businesses. The workshop will be held from 9:00–3:00 p.m. at the Katy & E. Don Walker Education Center, 1400 19th Street.